It's been a bit over a week since the Engineers patch landed on live servers and, little to say, players swarmed the forums and the official reddit boards with a huge amount of bug reports and unexpected AI behaviour... So, what happened? The first obvious major change is the new NPC AI. Most probably introduced as a needed by-product of new modules and weapons that the Engineers themselves will supply - Frontier buffed up the NPC AI making bounty-hunting a real challenge! Small ships are insanely agile, fast and accurate making even a wing of small ships a nightmare for any commander flying a bigger ship. Normally - the AI buffing would be a welcomed update since most of the pirate ships were bugged to a point they just stopped fighting and just stood there in space spinning in circles, however - the unexpected ship manoeuvrability carries over to big NPC ships as well. I consider myself a decent combat pilot, I always use my thrusters and FA off but I had encounters where I couldn't outmanoeuvre a NPC anaconda while flying a Courier or even a Vulture! To make things worse - it looks like most of the NPC ships come equipped with a lot of upgraded modules and weapons that players can obtain from an "underground" group called - (you've guessed it) the Engineers. Now, for a group of bright innovators that tend to hide away from regular space and people - it's very strange to see them give out modules to every NPC in the galaxy, don't you think? But hey - it's OK as long as we can get the stuff ourselves, right? Well - people who didn't buy the season pass can't even land on the planets, let alone start working on their reputation with the engineers making their ships pretty much obsolete. People who own Horizons are subjected to mandatory grind of many crafting items, scan data and random missions for a specific faction. I was really looking forward to a change of pace in my gameplay style since there's pretty much nothing in the game that I already don't have. I'm elite in exploration, own a very decently outfitted Cutter, Clipper, FDL, Vulture, Courier, Asp Explorer and a Cobra... So I'm settled for every type of gameplay. 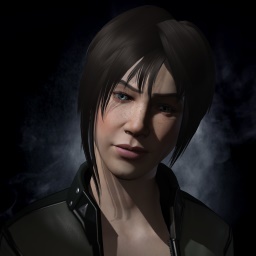 I always liked the idea of mission running for agents in EvE online, and I saw Engineers the same way. Unfortunately the current state of the game gives little to no information on how to obtain the materials your chosen engineer wants except a small vague tool-tip. For example - I wanted to boost the FSD drive on my Courier and the Tier 1 mod requires some special materials "found on planets" (which ones? ), some random drops from destroyed ships or USS locations and hi-wake scans. I jumped out of the system in search of a wake scanner and started scanning every single hi-wake in front of a major station hub. I kept doing that for over half an hour... I scanned player and NPC wakes and got zero items needed. Ok... guess it was not my day, so I moved onto the USS locations. I found several, dropped in but they either contained nothing or items I don't need. And since the fighting AI is obviously cheating at this point (fully upgraded mods, oneshotting players, perma boosting, perma shield recharges or chaffs) the time invested in actual destroying enemy NPCs is just not worth the reward. Even if you sucked it up and grinded all your mats for the mod needed - you're introduced to a roulette like animation that makes the stats of your mod completely random generated ending your hours of grind in a mod that doesn't have the desired outcome. After countless other forum posts and reddit conversations - Frontier acknowledged some strange behaviour and are investigating into it so we can only hope they pull themselves together and fix everything. But let's not end on a bad note here... The Engineers update brought some good stuff as well. First of all - those nice asteroid belts are back with some new graphical effects. Dust, particles, sun-rays are all back and exploration is looking better than ever. Planet surfaces got an awesome upgrade and they finally don't look like a random mush of dirt from a 1999. game engine. Our buggies leave tire tracks, and planet surface exploration got updated with various POIs, crashed ship locations, added rock/dust models and even spawns of various ships on the surface in search for the same salvage items as you. All that brings extra life into the game and it's really cool to see other NPCs drop next to you looking for a fight over a bunch of items left over the unfortunate crash of the ship you just found. I bought the game recently together with the horizons update and so far was enjoying it. I don't play for an extensive time so all this grind kinda put me off the game. How are you supposed to accomplish anything if it takes you hours upon hours of mindless grind just to get the chance of a new mod upgrade? Personally, I haven't encountered any one-shotting NPCs but I noticed a lot of very fast shield recharges or chaff spamming. Having to fight a ship smaller than yourself for 10-15min by just looping around yourself is not fun... not fun at all. I was too careless to look up the community responce to this patch and carelessly jumped into a haz-res after engineers were online. a wing of cobras almost blew me up in just a few fly-bys. i was flying my python and there was just no way to keep up with them. unfortunately this patch hit elite hard, and i'm sure FDev reputation got hit with it as well.